A huge THANK YOU to all our parents (so many of them!) who came out for our annual Trunk and Treat event. There was so much excitement in the air and those costumes on the children were just fabulous. So nice! It was clear that our parents and teachers put in a lot of work to make the children look sooo cute. Everybody did a fantastic job and it was tremendously difficult to choose winners. But, we had to make choices. The winners were as follows (posted on our Facebook page as well). 1st Place – Beach Theme – Deros Family; 2nd Place - There was a tie for second place – Wizard of Oz Theme – Collins Family, and Pirate Cove Theme-Travaglini Family. Now, ordinarily, if there is a tie for 2nd place, there is no third place. However, since the Trunks were all so nice and awesome, we had to give out a third place anyway. 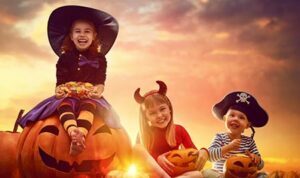 That went to Witch Theme – Bohn Family. 1st place had a prize of $100, 2nd place was $50, and 3rd place was $25. Once again, thanks so much for all your work (parents, teachers, and of course our children! ), and we look forward to seeing you all next Halloween. And please, do go to our Facebook page and “like” us!!! At The Primeron, we are continually trying to improve – make things better so that both children and parents enjoy a great experience. We invested heavily in infrastructure and resources and we will briefly describe them. Computer Systems: We upgraded our operational software which now allows us to manage even more efficiently (thus saving money and keeping annual tuition increases small or nonexistent – we have only raised tuition twice in four years!). We can now communicate with parents through their electronic sign in, through email, and through texting. 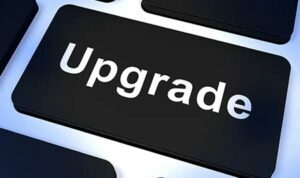 This upgrade also included the flexibility and reliability of online and automated payments. Parents have been delighted with this improvement and we are happy to have provided it. Security System: During 2018 we upgraded our camera system (very high-resolution cameras), added cameras to the outside and to several classrooms, and upgraded the facial recognition software that restricts entry to only those who belong at The Primeron. Additionally, if any door that opens to the outside is left open, we get an automatic notification at the front desk. At The Primeron, we are proud to provide the most secure environment for our children. Acquisition: Our educational program has been so popular with parents and successful with our children that we started another center in 2018 so that more children can benefit from it. This center is located in Severn, MD. As is the case in any acquisition, there are always some bumps along the road. However, most of them are now ironed out and we are on our way to providing a high level of care and education to our children. Educational Program: After a thorough search in 2018, we recruited a great academician to lead our educational program. 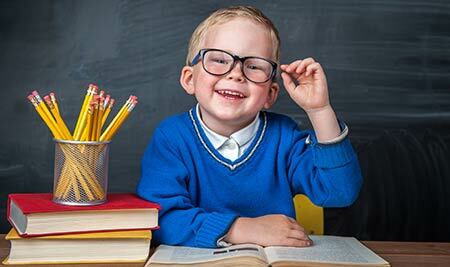 We take educating our children seriously enough that we have one Assistant Director – Academics devoted solely to training our teachers and onboarding them efficiently. 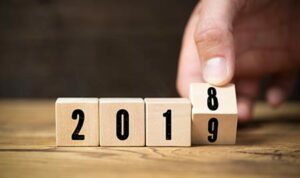 We have also embarked on a complete revision of our already successful curriculum to integrate it more into the complex operations of an early education center (please see below for more details under “What’s New in 2019”). Building: In 2018 we completed the renovation of the building by putting in the remaining wooden floors in all the classrooms and a ceramic tiled floor in the school-age classroom. These add to the enhanced appearance of the classrooms and creates a warm and inviting environment for both our parents and our children. Whereas there were many more enhancements (new refrigerators, microwaves, etc. ), here we have mentioned only the major ones. We hope you enjoy all our efforts to make The Primeron the best experience in Early Education. Wonderful Management Team: We recently completed hiring our entire management team. One of our goals, in order to operate more efficiently and to provide great service to our parents, was to hire not one, not two, but three Assistant Directors to assist our Director, Abigail Henne. Our two Assistant Directors for Operations included Porsha Harris and Michelle McCorkle, and our Assistant Director for Academics is Gwendolyn Nolt. This wonderful team will make sure that everything runs efficiently and smoothly. If at any time you have any questions, please don’t hesitate to let us know. Curriculum Improvement: One of the challenges of educating in the Early Childhood arena is that there are many operational intrusions throughout the day. In an elementary school, children enroll in September, they come in at a fixed time in the morning, have lunch at a set time, don’t need diapers changed, and leave for home at a fixed time in the afternoon. The Early Education setting is the exact opposite. Children enroll at our center, and at others, at any time during the year. Once enrolled, they come to the center at different times in the morning and leave whenever convenient for the parents to pick them up. The younger ones need to have diaper changes and various feedings during the day. These variations prevent teachers from having an effective classroom. However, at The Primeron, we are in the process of creating a novel way of approaching this problem. Our Assistant Director-Academics, Gwen Nolt, is working on how to create a curriculum that will seamlessly integrate with these operational intrusions into teaching so that a high level of consistency of instruction can be implemented and executed. We will be working hard on this throughout 2019. Revamping Our School-Age Program: During early 2019, we will be completely revamping our School-Age (Before/After school programs). We will install new infrastructure (floors, furniture, tables, desks, etc.) and will be creating new themes. The details are currently under review and we will keep you posted. Website Additions: Starting in early 2019, we will be adding a blog to our website. This site will provide a lot of information about the Early Education Industry in general, The Primeron, its operations (what it takes to keep it running), and interesting articles about our curriculum and why we do what we do, and why it is so successful. We are confident that parents and potential parents will find it very informative and stimulating. Extended Hours Program: We are considering providing extended hours care for our children. This will be beyond 6:30 pm and we are still deciding how long to stay open after 6:30 pm. Mostly, it will depend on how much demand there is. We will be sending a Survey Monkey to all parents to gauge the level of interest and then will keep you informed as we move forward.